Chiropractic Care Columbia SC | Chiropractic Wellness Center, Inc. Experience a natural form of health care that keeps your spine moving and healthy to support your nervous system. Your body was made to heal and function, all controlled by the master nervous system, brain and spinal nerves. The bones of your spine are responsible for its protection, and damage can result from small, repetitive stress or major injuries. When your spine is damaged, it creates a ripple effect that affects your neurology. The response may produce pain, or you might feel fine, but the nerves inside your body are always affected. Having your spine adjusted and regularly checked ensures your body stays free from interference and your nervous system works to its greatest abilities. The benefits of chiropractic you can experience include feeling better, moving easier, aging well and healing quicker. Dr. Shelly starts by collecting as much information about you as possible to determine the best approach for you. She’ll recommend an ideal plan of care to help you get out of pain and accomplish your goals. Chiropractic care works most effectively by using a series of adjustments, usually more frequently at the beginning. As you respond during this initial, intensive phase, we’ll decrease your visits and enter into corrective and rehabilitative care. During this stage, you’ll take your healing into your own hands with stretches, exercise and nutritional changes at home. Then, you’ll enter wellness or maintenance care with lifestyle changes that support your spine and improve your health. These visits might be weekly, monthly or whichever interval is appropriate for you. Dr. Shelly specializes in Webster Technique and Thompson with a Thompson Terminal Point table on-site. 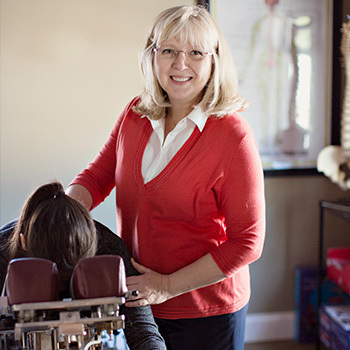 She offers manual and instrument-based adjusting along with gentle soft tissue work. Her approach will vary depending on your needs. Find out why we were voted Best Chiropractor from 2015-2018 in Columbia Metropolitan Magazine. Contact Chiropractic Wellness Center, Inc. in Columbia today to schedule your time!